In Niger, the abduction of an Italian priest in the southwest of the country has left the communities he served for 11 years in shock and sorrow. Fr. 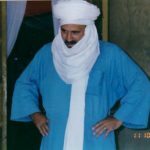 Pier Luigi Maccalli, 57, was kidnapped by unknown armed men on Monday night in his parish of Bamoanga, about 125km from the capital Niamey. According to local sources, eight armed men on motorbikes entered the parish at about 9pm. 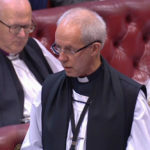 They attacked and kidnapped the priest in his bedroom, before heading off with him towards the border of Burkina Faso. Early reports also suggested the armed men had kidnapped two nuns, members of the Franciscan Missionaries of Marie, but World Watch Monitor has learned that they managed to escape during the attack. Another foreign priest, from Indian origin, who was also in the parish during the attack, is also safe. No group has yet claimed responsibility for the kidnapping, but according to security sources in Niger the assailants might have taken their hostage to Kogega, a forest that serves as a base alongside the Niger-Burkina border. In recent weeks attacks carried out by jihadist militiamen in neighbouring Burkina have claimed the lives of a number of soldiers, prompting a military response, including aerial bombardment, in the region (eastern Burkina). Fr. Maccalli is originally from the diocese of Crem in Italy and is a member of the Society of African Missions (SAM). He had served previously in the Ivory Coast for several years. 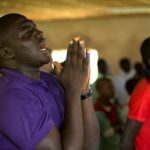 He is the first Catholic priest kidnapped in Niger but the third Westerner detained by armed men in recent years. 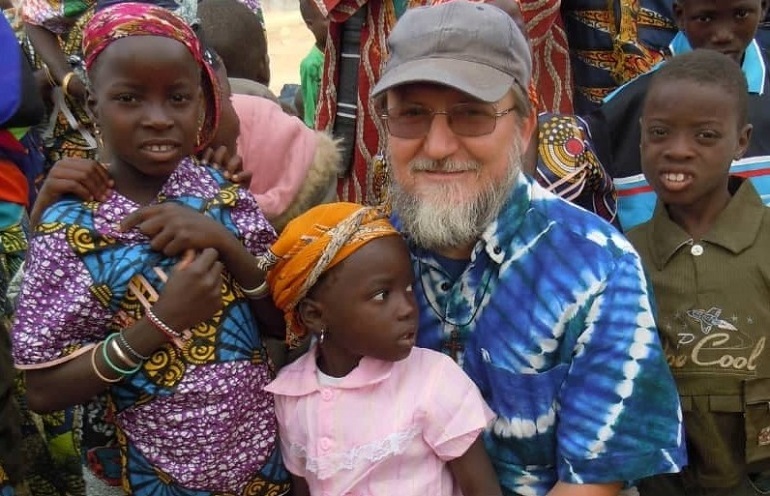 Two years ago, a US missionary was kidnapped in Niger’s northern town of Abalak. Jeff Woodke, who worked for Jeunesse en Mission Entraide et Developpement (JEMED), a branch of the US-based Youth With a Mission, was abducted by unknown assailants late in the evening of Friday 14 October, 2016. Then in April this year, the German Joerg Lange, employed by the aid group Help, was kidnapped by armed men in Niger’s western town of Ayorou, which shares a border with troubled northern Mali. Diara Banyoura is the mayor of Makalondi, which also includes Bamoanga village, where the kidnapping took place. He told World Watch Monitor that the abduction of the Italian priest is a hard blow for the population of Makalondi. He recalled the atmosphere just few hours after the kidnapping as he visited the parish on Tuesday morning. 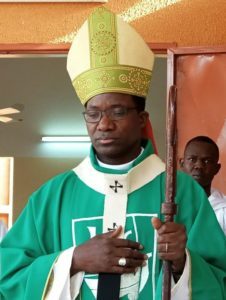 He said dozens of people from various communities around Bamoanga gathered spontaneously at the parish as they heard news of the kidnapping. The feeling is widely shared, with many fearing the impact of the kidnapping in the region and elsewhere across the country. The Catholic Church has been active the Makalondi region for 50 years, running various development projects, including schools and health facilities. Diara Banyoura, who is also a member of parliament, was in Niamey this morning. He said even some of his fellow MPs were concerned by the situation created by the kidnapping. He said they agreed that “what happened is really deplorable”, fearing a mass departure of foreign missionaries, which could eventually lead to the closure of many projects run by the Catholic Church in the region and elsewhere. For now Banyoura rejects such possibilities, saying the departure of Catholic missionaries would be a “disaster” for the population, which relies heavily on their projects. “If the population is abandoned alone, this may create other issues,” he said. Banyoura said he “implored God to preserve the life of the Italian missionary” and appealed on the government “to do whatever possible” in order to obtain his release. “It is difficult to understand that such things can happened just 100km away from Niamey, the capital,” he added. Mgr. Laurent Lompo, the Archbishop of Niamey, is also concerned by the impact of Monday’s attack. He told World Watch Monitor that the latest kidnapping, though the first targeting a Catholic missionary, will raise the issue of the presence of all Western missionaries in other regions of the country. Mgr. Lompo, who is originally from the Makalondi region and is the first Nigerien to hold his position, acknowledged the contribution of foreign missionaries. He said most of the projects carried out by the Catholic Church in Niger are funded by Western missionaries deployed on the field. “Now one may ask: ‘Are they going to stay in the region? What would happen if they decide to leave?’” said Mgr Lompo, who praised the contribution of the Catholic Church in the development of the country.